As per Hinduism, music originated from the five mouths of Shiva. The origin of saptaswaras (seven basic notes) and the musical instruments are traced to Shiva. Legend has it that once Goddess Parvati wanted to know about the origin of saptaswaras. Shiva then revealed the secret of the origin of the swaras and musical instruments. The origin of music is associated with Panchanana Shiva – Shiva with five faces. 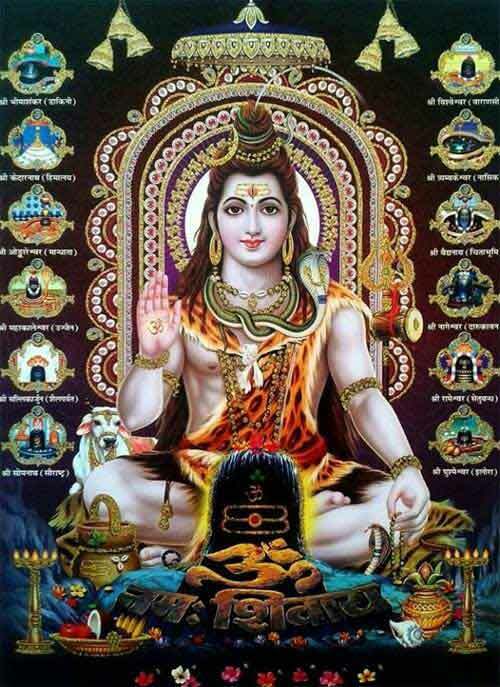 The five faces of Shiva are Sadyojat, Vamdev, Aghora, Tatpurush and Ishana. From the mouth of Sadyojat face of Shiva appeared the Gandharaswara. It is believed that earth also appeared from this face. Musical instruments like Mridangam which uses bark of trees or skin appeared from the Sadyojat form. Rishaba and Shadjam Swaras appeared from the Aghora face. Agni appeared from this face. Musical instruments with strings appeared from Agni. Daivata Swara appeared from Vamadeva face. It is believed that water appeared from this face. Musical instruments like Shankh etc appeared from Vamadeva Shiva. The swaras Nishadam and Madhyamam appeared from the Ishana face of Shiva. Space appeared from this face of Shiva. Musical instruments like Veena appeared from Ishana. The popular belief is that those Saints who learned music from Shiva spread it on earth among human beings.